← 8. You Never Fought for Me. 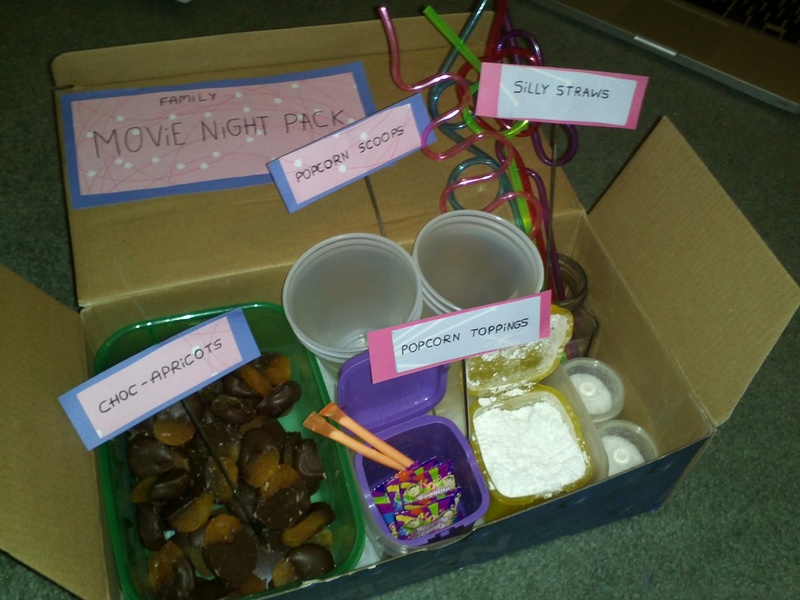 7 Steps to a Great Home Movie Night!!!! How to have a GREAT movie night at home! 1. 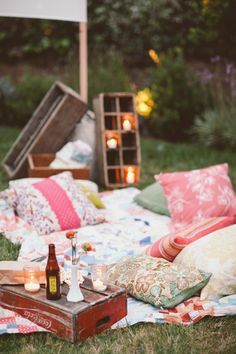 In the summer, I suggest watching the movie outside under the stars, by getting a projector and projecting the movie onto a plain white wall, or a hoisted up sheet. Have heaps of bean bags, camp chairs, pillows so all your friends can just lounge around and relax! Have lemonade and ice, and watermelon, and popcorn. Also beach umbrellas are a good touch. As I said we had limited resources because Mum and Dad had just been to the supermarket and I didn’t want to have to make them go again. I would highly suggest not having melted butter, because from my experience, it make popcorn shrink, and really soggy, their might be some secret to it, please let me know if there is! 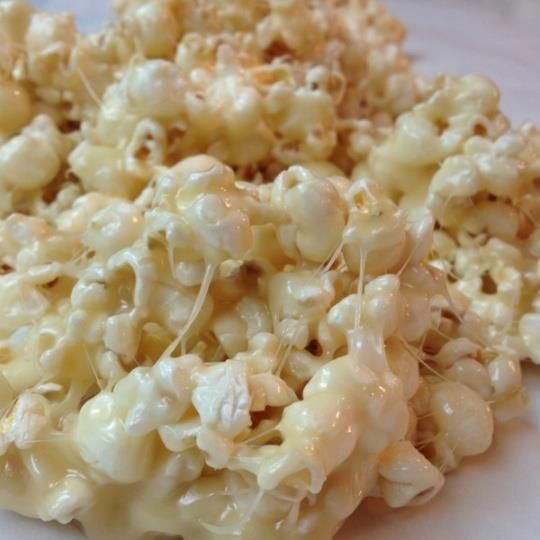 Movie night treat: Marshmallow Caramel Popcorn. 1/2 c. brown sugar 1/2 c. butter 9-10 marshmallows 12 c. popcorn. Microwave brown sugar and butter for 2 minutes. Add marshmallows. Microwave until melted, 1 1/2 to 2 minutes. Pour over popcorn. 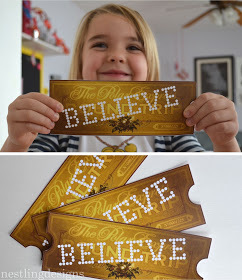 This is a really good blog and the polar express movie night ideas are awesome! Go check it out, but wait! Finish reading this awesome blog post first…. 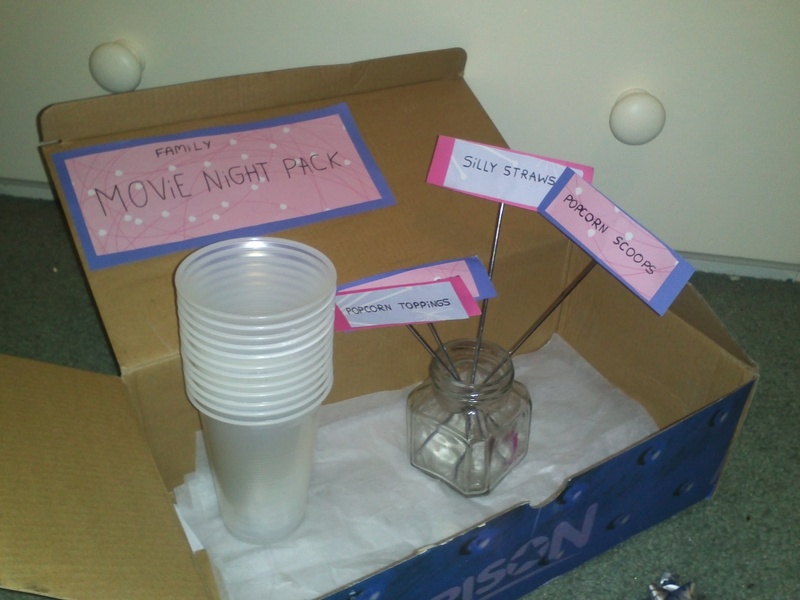 6.Just a minor detail to a good movie night is a good movie! (Sarcasm hehehe) You can easily find list of good movies on any good blog….. so you can just go back a few posts. (hehehe) And you can just go down to your local DVD shop, and they’ll probably suggest a good one to hire. 7. The most important thing to a movie night is friends and family! Get all the people you love to spend time with and bring them down and have a good time with them!